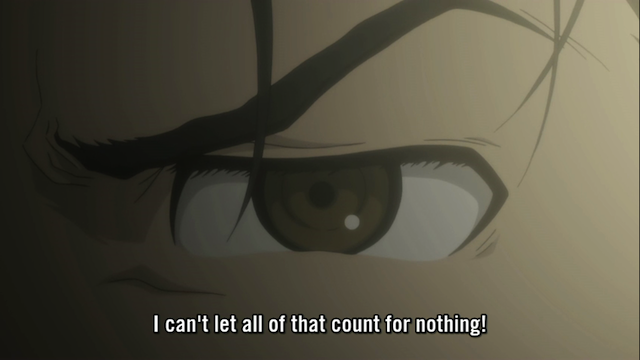 After all that he's been through, Okabe doesn't want to get involved with time machines ever again. 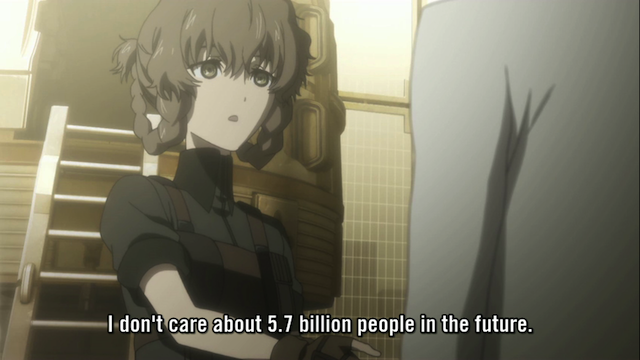 Steins;Gate has been a wonderful show, with only a couple of weak episodes over the run. Last episode was a touching farewell to one of the best characters. Could the ending really live up to what had gone before? 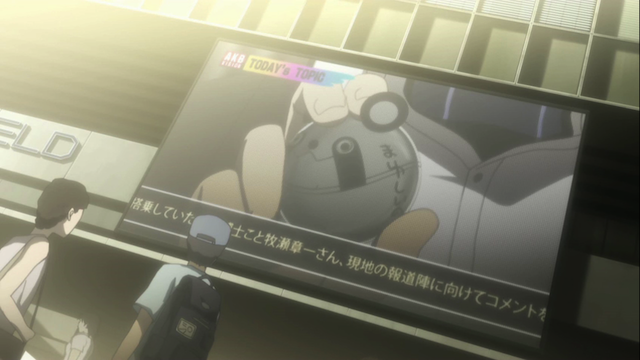 Imagine my surprise when this turned out to be one of the best episodes of Steins;Gate so far? I even got a chill in the brief segment before the OP. How is this series so good? Again, you can't really blame the guy, after what he has been through these past three weeks. 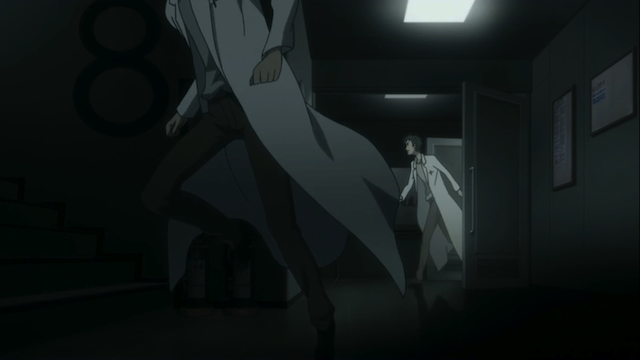 Hououin Kyouma, Okabe’s mad scientist alternate persona, would have gleefully jumped aboard the time machine, but Okabe has genuinely grown through some very painful experiences. People talk about character development all the time, but Steins;Gate showed true development, personal growth, in the character of Okabe Rintarou. He made bad decisions, and paid for them, and made sacrifices. Now he doesn’t want to give up the little bit that he managed to pull from the fire. Further he realizes better than anyone, that fixing a problem with time travel isn’t as easy as it seems, due to the power of the “Attractor Field”, which keeps the integrity of a world-line, despite small changes. 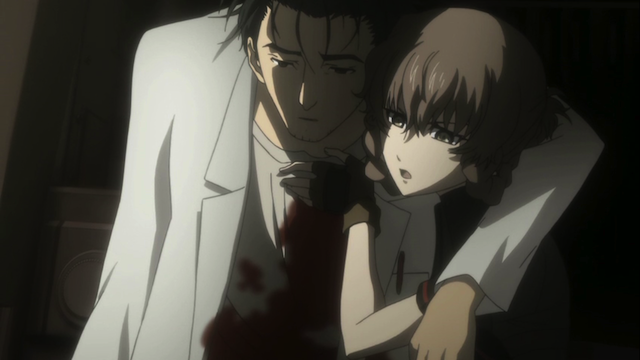 Okabe had legitimate reasons for rejecting her, when Suzuha asked him to help her save the future, but when she told him that the key to saving the future was to save Kurisu Makise from being murdered, I got chills, because I knew that this was a legitimate reason for him to change his mind. We get to go in a time machine after all, it is sensitive to the character growth that Okabe has undergone, and we even get Kurisu back as a character. What a great and happy ending right? I just new we would see Mayuri's metal Upa again! I just hadn't anticipated it being broadcast on TV screens around the world. Unfortunately things go horribly wrong. It seems Kurisu is just as fated to die (via the “Attractor Field”) in this world-line as Mayuri was in the Alpha world-line, so now Okabe has an even more vivid memory of his girlfriend’s death. 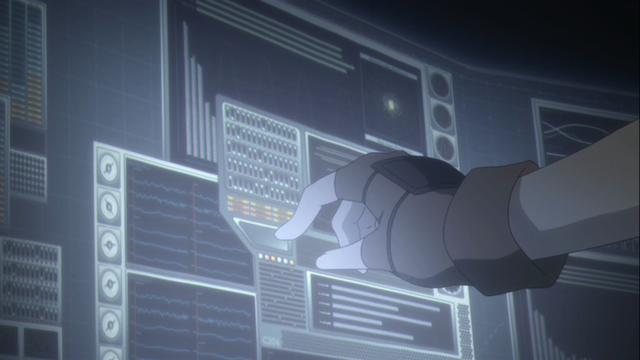 Now the only person who can save the world from World War III is … Hououin Kyouma! Wow. Wow. Wow. Steins;Gate continues to impress. Was this episode truly one of the best of the season? Or is it more accurate to describe it as the payoff for what has been built up previously? Or is there even a real difference? 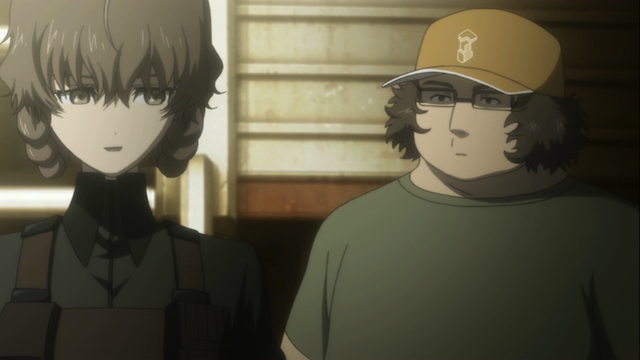 Regardless, this episode was a treat, and Steins;Gate continues to be one of the best series released in 2011. I think it’s kind of both, everything came full circle with this episode. At the start of the series there were quite a few questions left behind and this episode went forth and answered them. Filling in the blanks to all those things that were left unanswered in the first episode. And with that I’d agree that Okabe’s development on his way to this point has been one of the best things about this show. He went from being somewhat immature and living a facade to being broken and jaded, at this point he really would have wanted to just call it quits and stay with the ending he fought so hard and sacrificed so much to reach already. Miyano Mamoru‘s amazing performance has probably represented it the best as well, he’s gone from using a childish sort of tone to a far more solemn one as the show progressed. It’s also probably because of that development that the way the episode ended with him refinding Hououin Kyouma was such an amazing one. Not to mention that it was a great use of the VN’s theme.